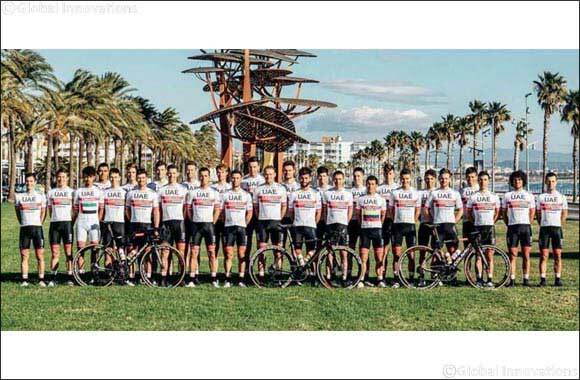 Dubai, UAE, January 10, 2019: The UCI World Tour 2019 is less than one-week away and for UAE Team Emirates, it not only marks their third season as a professional cycling squad on the sport’s biggest stage, but one that promises to become their most successful to date. Their 2018 campaign brought the team a series of high profile wins across the year, with impressive podiums in one day classics, stage races and Grand Tours – most notably the Tour de France, where both Dan Martin and Alexander Kristoff earned first place finishes. This year the team has bolstered the squad with even more firepower, bringing in both world-class riders with proven pedigree on the World Tour and young talent with the ability to grow into the stars of the future. The new roster of riders will give the team an edge for 2019, elevating them to the next level with the goal of being one of the most competitive teams on the tour. The new signings have been made possible through the continued support of the team’s existing sponsors, which include local partners Emirates and First Abu Dhabi Bank as well as Emirati real estate development company Emaar, who now feature prominently on the front and back of the team’s jersey. The most notable of the new riders signed during the winter ‘off-season’ was Fernando Gaviria. The Columbian sprinter was a two-stage Tour de France winner in 2018 and is being heralded as one of cycling’s most promising talents. Despite being just 24-years-old, Gaviria’s winning mentality has seen the powerhouse pick up stage wins at the Giro d’Italia (2017), Amgen Tour of California (2018), Tour of Poland (2016), Tirreno-Adriatico (2016 & 2017) and Tour of Britain (2015 & 2017). Commenting ahead of the new season, Gaviria said: “I’m happy that I’m going to start the new season wearing the jersey of UAE Team Emirates. In addition to the excitement of racing for a new team, I’m really keen to better understand the culture and traditions of the United Arab Emirates and to appreciate how cycling is really growing in the region. I admire the team’s project in the UAE, so it’s important that the riders can help inspire young kids to cycle and to promote a healthy lifestyle. I think it’s great that cycling is becoming aspirational and I really want to contribute by achieving great results for the team”. Joining Gaviria is countryman and Colombian National Champion, Sergio Henao. The climber joins UAE Team Emirates from Team Sky, where he secured a number of important wins, most recently the 2017 edition of Paris-Nice which saw him take home the General Classification. Another Colombian to join the UAE Team Emirates’ ranks is Juan Sebastian Molano. The 24-year-old had an impressive 2018 season in cycling’s second division (Pro Continental), picking up the General Classification title at the Tour of China and taking first place in the Pan American Championships Road Race. He now takes the step up to join UAE Team Emirates and will be looking to make a big impact with his debut season on the UCI World Tour. The quartet of Colombian riders is completed by Cristian Munoz. At just 22-years-old, he is the youngest of the Colombian riders to join for the 2019 season, also graduating from a Columbian Pro Continental cycling team. Across the Atlantic, UAE Team Emirates secured the signatures of Portuguese twin brothers, Ivo and Rui Oliveira. The former is the reigning Portuguese U-23 Individual Time Trial (ITT) Champion, whilst Rui is the reigning Portuguese U-23 National Road Race Champion. Capping off the new names is Swiss rider, Tom Bohli. Having spent the last four years with BMC Racing Team, Bohli joins with a wealth of World Tour experience and will be eager to demonstrate his strength when turning out for UAE Team Emirates. When the team kicks off its season at the Tour Down Under (13-19th January) they will ride out in a redesigned kit for 2019. Created by Champion Systems, the new look white and red jersey is teamed with black shorts and features the logos of the team’s sponsors: UAE, Emirates, FAB, Colnago, Champion System and Emaar along with the United Arab Emirates flag. In addition, each rider’s jersey has a personal touch, displaying their family name and their own country’s flag on the back. Additional details are featured on the kits of the current National champions, with their country flags displayed centrally on the front of the jersey. The team’s former National, Continental and World Champions, will have customized borders on both the jersey sleeves and the legs of the shorts.